Though there may never be a good time to cut down a cherished tree, sometimes it must be done. The question is: When? Should you give it time to try and recover during the Spring? Should you wait until Winter? Should you just get it over with as soon as possible? Let’s take a look at the best time to remove a tree. So, before we can address the “when”, we must address the “why”. Why are you getting this tree cut down in the first place? Some of the most common reasons to remove a tree are because it’s dead, it’s dangerous, and that it might cause damage to other trees. If your tree falls under one of these categories, then the time frame to have it removed is going to be slightly different for each one. When Should I Remove the Tree? The “when” of tree removal heavily depends on why you’re removing it in the first place. If It’s Dangerous: You should have the tree removed right away to prevent harm to property and people. A falling tree can easily crush cars, seriously injure people, and destroy your home. Don’t wait for a strong wind to come and cause disaster. Get the tree removed today. It’s Dead: If the tree is dead and it poses no danger to people and property, then you can wait a little longer before you bring it down. However, you should still get it removed promptly before it becomes a threat. It’s Diseased: Act quickly with diseased trees, as their illness can spread to other trees on your property if you’re not careful. 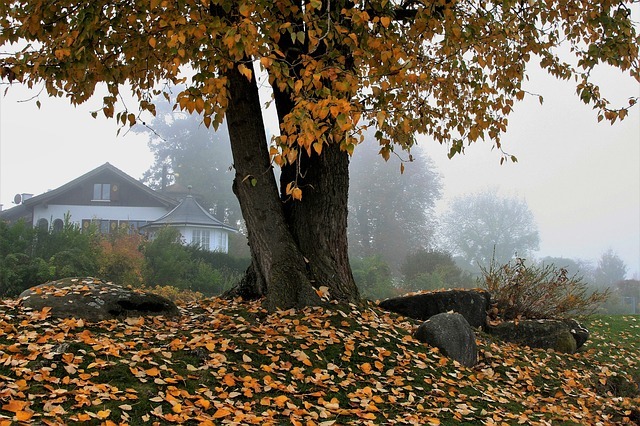 To ensure that these sick trees don’t leave any pests behind, call on an arborist to get the job done correctly. Can the Tree Be Saved? Though some trees can be pruned to help them grow better, not all trees can be saved from the inevitability of life. However, the best way to determine whether or not your tree can be saved is to have a trained specialist assess it. We’ll be able to tell you whether or not the tree can recover and if so, how that can happen. Need Help with Tree Removal? If you’re in need of tree removal, we’re here to help you. Our trained staff is equipped to handle all manner of tree removal and assessment for the best possible care for your trees. Contact us today to learn more about how we can help you and your trees. This entry was posted on Saturday, March 23rd, 2019 at 11:13 am. Both comments and pings are currently closed.